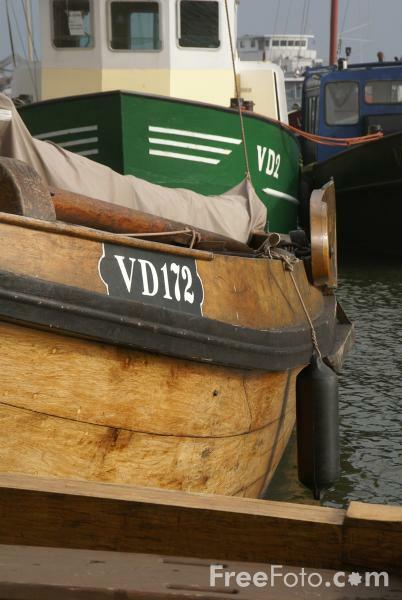 Picture of a Fishing Boat, Volendam, The Netherlands, the most famous place on the IJsselmeer coast. Volendam means a dam which has been filled. Around 1875 the French author Henry Havard wrote about it and English artist George Clausen created a painting of a Volendammers in traditional garb.